The Duchess of Cambridge will be visiting Forest Hill tomorrow to launch a new national helpline to help carers. 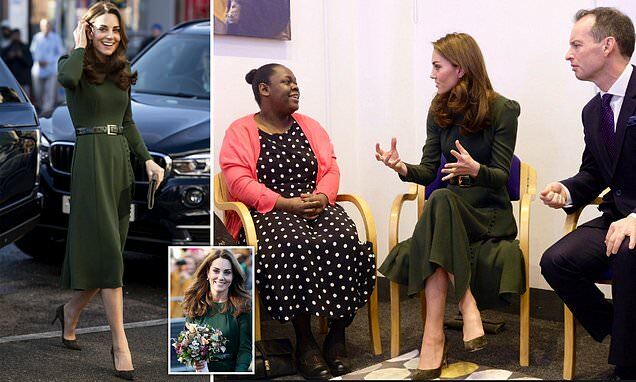 Kate will be visiting the people that run Family Action, which provides support to children and families in the area. The duchess will be launching FamilyLine, which will give support parents and carers the change to speak charity volunteers, who will provide a listening ear. We haven’t seen any timings yet but will update if we find out. Shame it’s not on Wednesday when I work from home. I’d pop along to wave. She could cone round for tea. I have some nice biscuits. Can she get us a pedestrian crossing outside the station while she’s here…?! Actually we could do with a pedestrian crossing at the end of Siddons Road just there too! Any more news on the duchess’ schedule? Just what I was going to ask! I can’t get there, but a friend was just asking me! Not as good but another angle. That video doesn’t work in the summary box, perhaps try a different tweet from a tweeter that recorded from a good angle? There are many to choose from. I saw her in Chelsea once before she was married. I tried to make eye contact but she wasn’t at all interested. I’m still gutted about this and Wills has nothing on me. Actually you got a great shots of the papps too. You’ll be seeing yourself in all the photos tomorrow. @lionel_stanhope @SE23life @se26life It went mental in The Capitol when Kate came in for a pint of Grandads Old Dirigible and a pickled egg at lunchtime. Fair play to the lass, she knows the nudges on a Monopoly fruit machine.